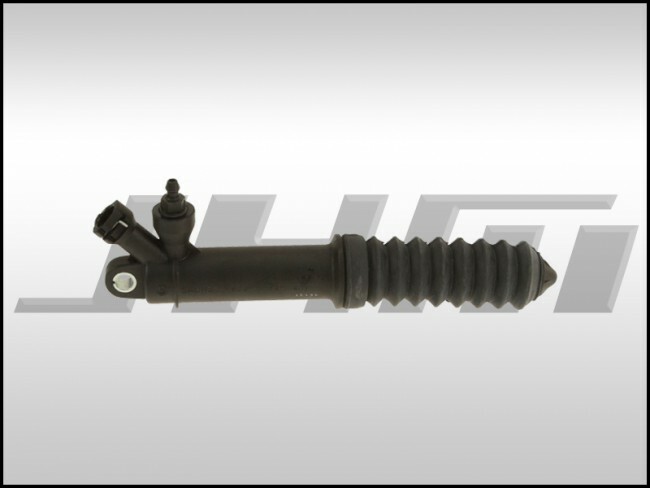 This is a brand new, OEM clutch slave cylinder for your manual transmission, B8 chassis Audi A4, A5, S4, or S5. This part is made by Sachs or FTE, the original equipment manufacturer (OEM) for this part for Audi. The boots on these cylinders that hold the rod in place often rip or tear due to heat or age. It is a good idea replace this unit on higher mileage cars during a clutch and/or flywheel replacement. The OEM part number for this piece is 8K0721257A or 8K0 721 257 A.